One beautiful summer evening in December 2008, I walked down a dirt road in New Zealand and listened to a distinctive hooting in the distance — the nighttime call of the kiwi. Today, I work for a company based in Auckland and look forward to returning to New Zealand again soon. Thomas Poulsom (DeTomaso77) has been posting antipodean birds for a while, but he’s just added two from New Zealand to his growing collection of living dinosaurs, starting with the iconic kiwi and the weird & wonderful kakapo (an adorably fat, flightless parrot). 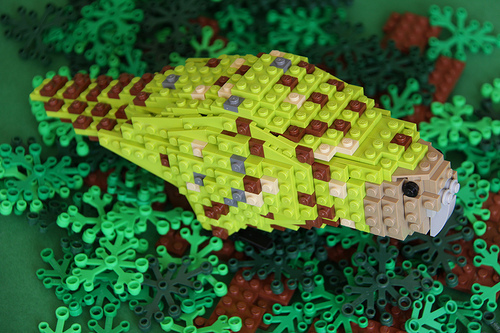 We’ve been supporters of Thomas’ LEGO CUUSOO project since the beginning, and I’m glad to see that it now has more than 6,200 supporters, though I’m inclined to agree with LEGO in their official comment that we’d like to see Thomas focus on one particular bird (my favorite is Bobby Robin). But Thomas doesn’t just build LEGO birds. 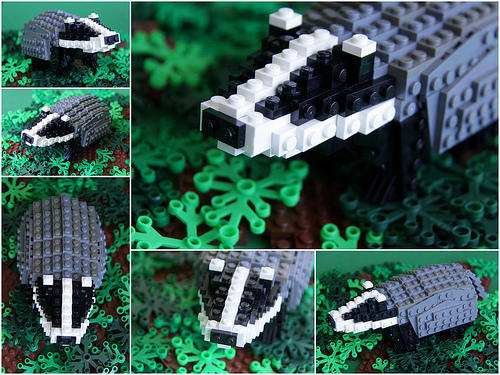 He recently posted a round and chubby badger named Roger to highlight the plight of this unique animal in Great Britain. 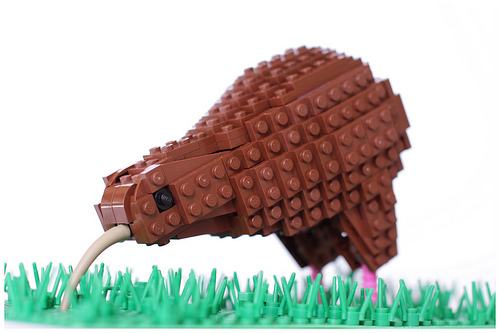 If you’re seeing Thomas’ animal models here for the first time, head on over to his photostream on Flickr for hundreds more LEGO animal photos. As much as I like many of the other projects that have made their way towards 10,000 votes, I think that this and Apojove’s Mars rover are my favorites, and they seem more in the spirit of LEGO than all of the licensed property sets that have done well. * I know that Cuusoo is supposed to be about one-off sets, but I’d love to see LEGO either do a series of three small bird sets (though they could do a larger set with three birds). My own vote would be for Woody Woodpecker, Norman the Northern Cardinal, and Monty the Mountain Bluebird. *1. I realize that the Mars rover would be a license with NASA, but I’m contrasting it with the various TV and movie based projects. 2. I also realize that licensed themes make up a huge portion of LEGO sales, so in a sense licensed sets are very much in the spirit of LEGO.